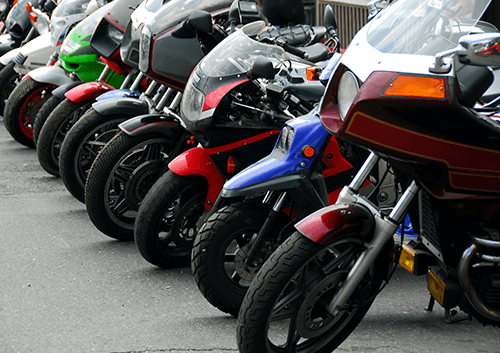 If you’re after a free motorbike valuation, you’re in the right place. All you have to do to get started is enter your registration number above and we can offer you a free valuation with no obligation to sell, after giving us a few simple details. Whether you’re actually looking to sell your bike or are just curious as to how much it could be worth, there are lots of services that promise to give you a free motorbike valuation, but what makes us the best? To start with, getting your free motorbike valuation is an incredibly quick and easy process, as we only need some basic information about yourself and the bike (such as reg number, model and year) and our team can have a valuation ready the very same day. Secondly, our valuations are always accurate and honest, with zero obligation to sell to us if you don't want to. Thirdly, we’ll consider more or less any bike, whether it’s a tiny scooter, a huge Harley-Davidson or a racing bike, as long as it’s still in running condition and originates in the UK. How Do You Value a Bike? Once our team of experts have received all the relevant information about your bike, the process of valuing it varies from bike to bike. Some are more straightforward than others, but a range of factors are taken into account for each, such as the age, condition and mileage of the bike. Obviously, a newer bike that’s in better condition will hold its value a lot better than an older one with lots of miles on the clock, but the rarity of the make and model and the general demand on the market for that particular bike all come into play as well. We’ll make you an offer to the best of our ability based on the information that you send us, but do bear in mind that if the bike doesn’t match up to the description, then we may have to reevaluate the bike once we receive it, although this would only be if there are some serious differences to how the bike has been described. 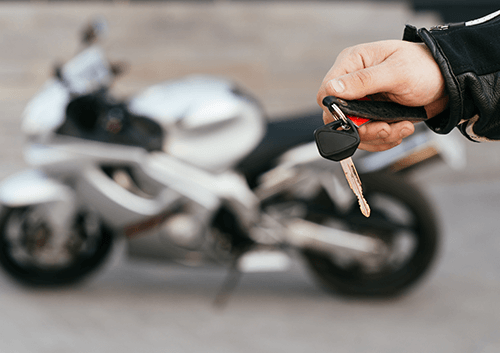 Once you’ve received a free valuation on your motorbike from us, it’s entirely up to you whether you want to proceed with a sale for the agreed amount. We don’t like to haggle, so the price that we’ve valued your bike at is the price that you’ll receive (as long as you’re transparent about the condition of the bike). We believe that this makes us one of the best motorbike valuations and buying services on the web, but don’t just take our word for it. With an average five-star review score on Trustpilot, we’ve got thousands of satisfied customers who will back us up. Here are a couple of reasons why we believe We Want Your Motorbike is the best place to value and sell your motorbike. Not only do we aim to value your bike the very same day that we receive your bike, but we’ll also try to send someone to pick it up from you within 24 hours of you accepting the offer, meaning that you can have your bike sold and the money in your account in just 24 hours. Once we’ve sent you your offer, it’s a simple case of us coming and picking the bike up and giving it a once over, before sending you 100% of the agreed price. No awkward questions or haggling, just a fair and honest sale! 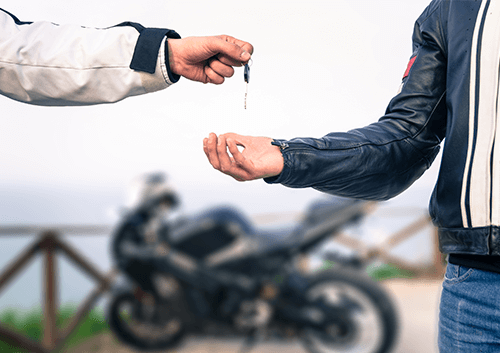 Unfortunately, selling your bike privately does leave you open to the potential risk of theft or fraud. And while hopefully, this would never happen to you, at least you know that when dealing with us, your bike is 100% safe. 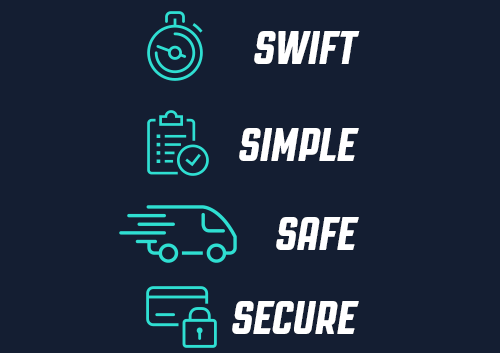 We’ll always transfer your money straight into your account before we take the bike away, so you can be certain that there’ll be no issues such as a cheque bouncing or being paid with counterfeit money, both of which can be concerns when selling privately. To get your free valuation, start off by entering your registration number on our site. Going this should allow us to find most of the information that we need about your bike, but we do still require a couple of extra details first. We’ll need you to also provide us with the mileage, number of owners that the bike has had, service history and a couple of more specific questions if it’s a tourer or sports bike. We’ll also need a couple of pieces of documentation, such as the V5 logbook/registration certificate, service history and MOT certificates and any finance settlement letters if you bought the bike on finance. 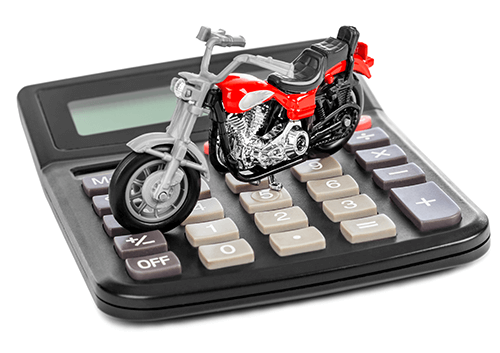 Once we have all of this information, our team will get to work on calculating your free valuation for your motorbike. Simply call our team on 01625 353 014 or email info@wewantyourmotorbike.com so we can arrange the most convenient time to come and inspect your bike, transfer the money and take it away. We’re happy to meet up at your home or anywhere in the UK, as early as tomorrow if you wish. Do You Buy Motorbikes That Are Non-Runners? We can only guarantee your price for seven days. The motorbike market changes from day to day, so any valuation older than that is no longer valid. However, getting a new up-to-date valuation is quick and easy. Simply enter your reg on the homepage of this website, call 01625 353 014 or email info@wewantyourmotorbike.com. My Motorbike Has Been Modified, What Do You Need to Know About Its New Features to Give Me An Accurate Valuation? It's in your own interest to be as accurate as possible. Our motorbike expert will notice any discrepancies during the inspection and may have to lower the valuation as a result. We pride ourselves on giving a fair market price, but can only work with the information you provide. Yes, 100% of it – unless our inspection reveals new information that affects the value of the bike. The price we quote after the inspection is the amount we’ll pay if you accept our offer. We’re always keen to offer a fair market price because we want you to be happy with our service. We don’t only want your motorbike now, we also want your motorbikes in the future. Be sure to be as accurate as possible when providing us with the details of your bike, to ensure that our valuation can be accurate as possible with our valuation and you won't receive any nasty shocks when we come to collect it. If there is any existing damage on the bike, don’t just try and cover it up. Instead, either try and get it fixed yourself or simply be upfront about it with us as it might not affect the value as much as you might think. Some cosmetic damage might be easier to repair yourself than either paying to have it fixed or having your value knocked down because of it. Every little helps when you’re getting your bike valued, so be sure to give it a good clean before your appointment and it could add a couple of quid onto the price tag. 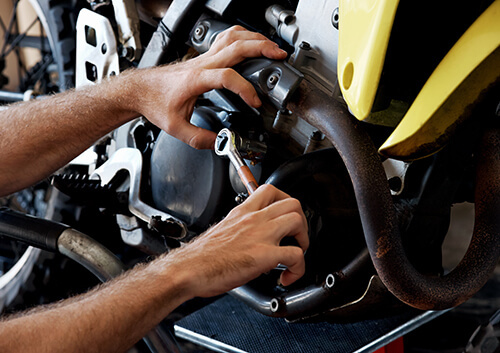 Check every aspect of your bike before having it valued, including the oil, tyres, coolant, electrics and chain. 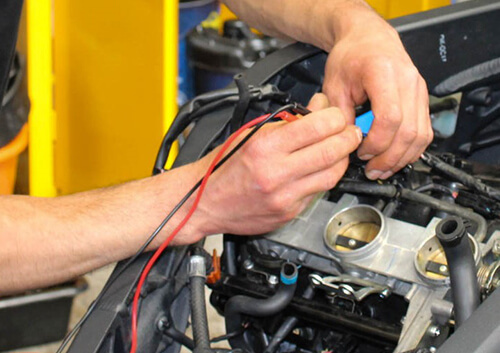 Having an up to date MOT is very important, so be sure not to forget this. From the online application to the day of collection was quick and totally hassle-free. The price agreed on the phone was the price paid and so much easier than having to deal with test riders, tyre kickers and hagglers. The friendly collection driver arrived right on time and dealt with everything very professionally. What a great service! Sensible price, agreed the deal, clear communication and instruction and turned up at the agreed time slot. The bike inspector (Brian) was a top bloke, I had accurately described the bike and the deal progressed without fault or further negotiation. Instant payment, what's not to like? I had my bike up for sale and was contacted with a very fair offer (more than I had expected from a shop). We agreed on the price and set a date for collection and I was told I would be contacted the day before to confirm the appointment. I suggested a time to call as I was on nights and unusually for a business this was noted and acted on. So the appointment was confirmed. The next day I was contacted by the agent (Brian) to tell me he was running on time and would see me soon. He turned up promptly, was polite and explained the process clearly. After going over the bike and finding it was as described, he then set up payment which was in the bank before he had the ramps out of the van. Overall I would say a hassle-free way to sell your bike and would highly recommend to anyone selling their bike. So, if you’re wondering where to get your next free motorbike valuation, look no further than We Want Your Motorbike, where you can simply enter your registration number to get started and have your free valuation within the next 24 hours.